PAVE YOUR WAY INTO SANDY SPRINGS HISTORY! 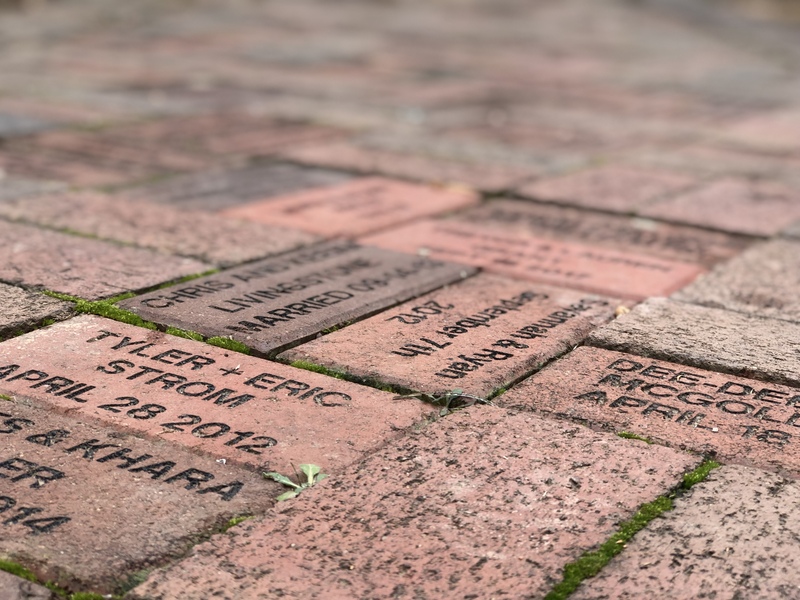 Become part of Sandy Springs history at Heritage Green, the heart of Sandy Springs, by purchasing a brick inscribed with a personalized message. All proceeds benefit Heritage Sandy Springs, a not-for-profit organization dedicated to operating Heritage Green and presenting community events such as the Concerts by the Springs series and the Sandy Springs Festival. Heritage Green is located just off Sandy Springs Circle next to CityWalk and is home to the original "sandy springs" and the historic Williams-Payne House. To order your personalized brick ($50) please complete the form below. If you are paying by check, please make payable to Heritage Sandy Springs and mail to 6110 Blue Stone Road, Sandy Springs, GA 30328. If paying by credit card, please complete the below information.